Accommodation, Food & Wine, Hostels, Restaurants. 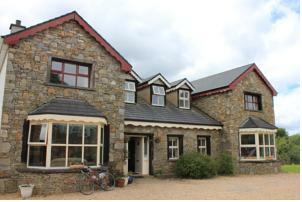 Connemara National Park Hostel (formerly Letterfrack lodge) Located in the coastal village of Letterfrack, the Letterfrack Lodge offers a high standard of hostel and self-catering accommodation. Built in 2000 the hostel has 11 ensuite bedrooms complete with timber floors, built in wardrobes and tiled bathrooms. There are 3 large equipped kitchens, 3 dining areas, a barbeque balcony and sitting rooms. A laundry and the internet are also available. Free laminate maps are available at reception and Mike is always there to give you inside information on the locality and the many wonderful places to explore. 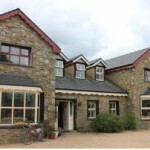 Within minutes of the lodge are beaches, mountains, Connemara National Park and Kylemore Abbey.